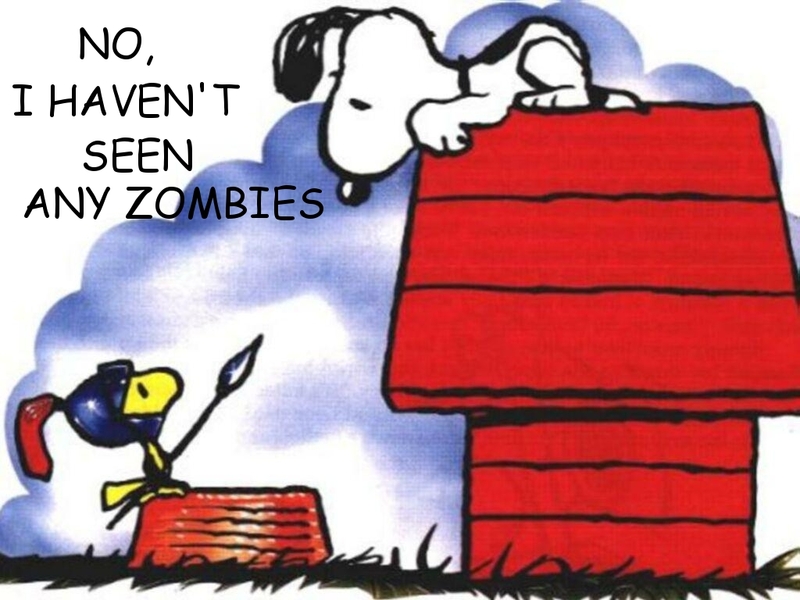 Writing In The Crosshairs: SNOOPY VERSUS ZOMBIES! 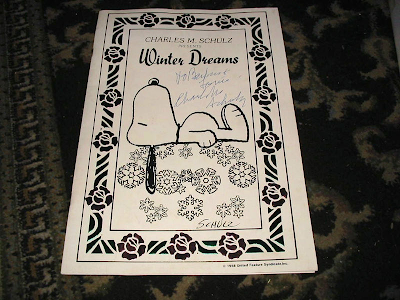 a CHARLES SCHULZ AUTOGRAPHED program of WINTER DREAMS! I'm right with you, Terry. If nothing else, he runs faster than they do!! Plus if he's fighting them in his ever-growing imagination, he could use his Sopwith Camel!